Many historians argue that the “introduction” of television took place as a series of anticlimaxes, or slow moving stages. However, the 1939 New York World’s Fair marked the commencement of regular television broadcasts in North America and was the first opportunity for a large public to see a television in operation. 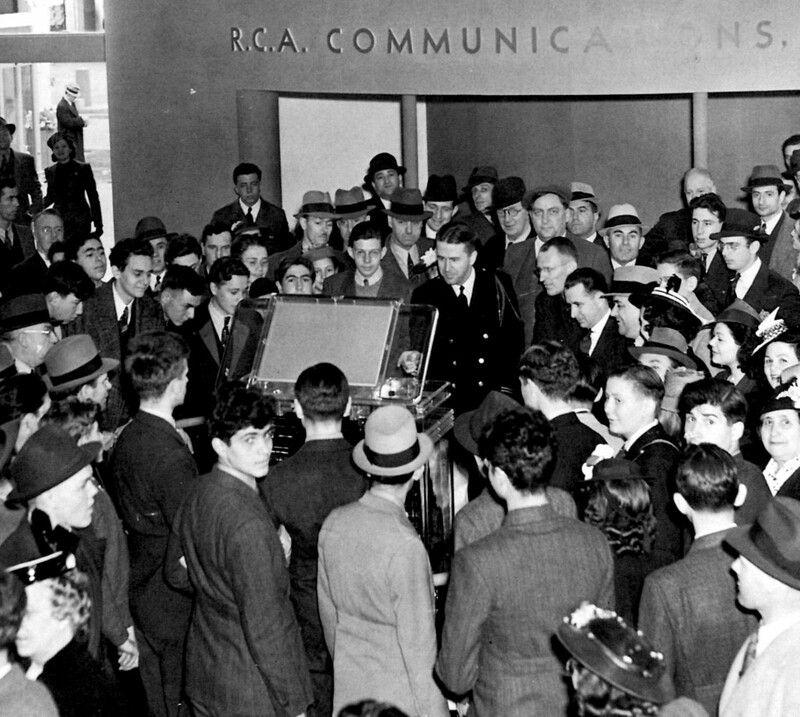 At exhibits by General Electric, Westinghosue Electric, the Crosley Radio Corporation and, most notably, the Radio Corporation of America, the television industry presented the exciting new medium as something that would revolutionize public communication and private life. Since the mid-1920s, the public had been aware of an invention called “television”, so it might seem strange that inventors and manufacturers were racing to formally “introduce” television in 1939. However, throughout this developmental phase, television had been primarily an inventors’ medium. In general, the only people who had any real contact with the technology besides the inventors were the investors, the technicians and the recreational ham radio operators. Television needed national and international publicity in order to become a full-fledged industry.